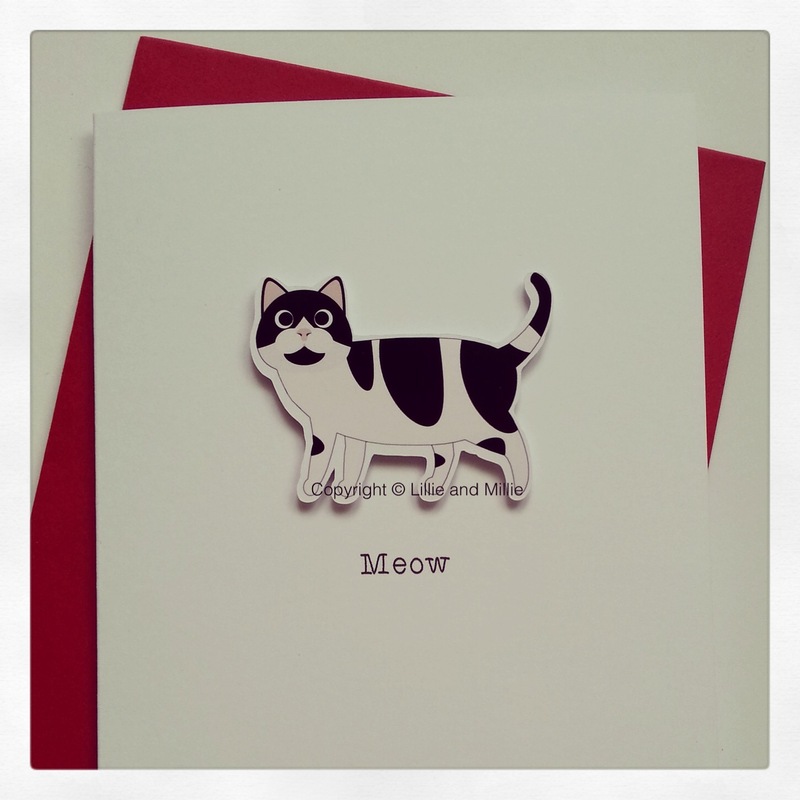 Our super cute white and black cat card is simply purrfect for most occasions and guaranteed to brighten any cat lovers day. Dear friends and customers - please be aware that our order book is now closed. If you place an order it will be processed when the order book is open again. Our white and black cat breed card. Want to personalise with the name of a cat? Then please email your requirements to sales@lillieandmillie.com If you wish to purchase from outside the UK please contact us for shipping costs before you purchase.